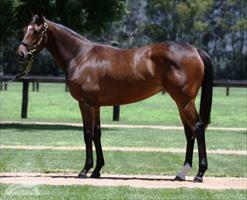 We have shares available in yearling progeny from outstanding sires Sebring, O'Reilly, Savabeel & Sepoy. These horses represent great value and variety by three established gun sires and the new kid of on the block - Sepoy. The great picture on the home page pointer for this story is of the Sebring/Flawless Gem colt during the breaking in process. All horses have been broken in at our 13th Beach Training Facility and are on track for their racing careers. Inspections can be arranged for each horse via email sales@dannyobrienracing.com.au. To view video of our stunning 13th Beach Facility, where all our purchases break in, train and agist click here. 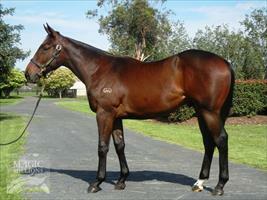 VALUE BUY: We were thrilled to pick up this colt by SEBRING at such a bargain price. In a sale where people were paying large sums for first season sires, we were very happy to pick up this guy who is by a proven sire. SEBRING produces horses of all distances and has stakes winners including four-time Group 1 winner DISSIDENT, international performer and Group 1 winner CRITERION and talented filly BRING ME THE MAID to name a few. This colt is out of two-year-old winner, who went on and was placed at listed level at three, daughter of super sire ENCOSTA DE LAGO, Flawless Gem, whose eldest progeny is a two-year-old and she is a half-sister to three winners. This colt is a very neat, athletic colt that looks an early runner so we don’t expect that you will have to wait long for a return on your investment. MARVELLOUS O’REILLY: After the sad passing of O’REILLY late last year, we were excited to be able to secure this filly by the Champion Sire. We are expecting his progeny to create much interest at the Karaka Sales this year, which should see a spike in prices and is why landing this filly thrills us. Our stable alone has had three Group 1 winners by ill-fated sire - MASTER O’REILLY, SHAMROCKER and SHAMEXPRESS, while there have plenty of others that put his name up in lights in the past season at Group 1 level - SILENT ACHIEVER and SACRED FALLS. 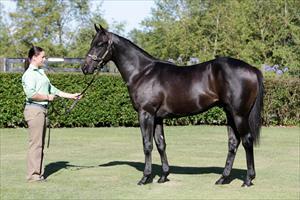 MORE THAN ADEQUATE is from one of the most current NZ black-type families. Her mother MY MARILYN produced nine winners, including Monroe Magic who is the dam of HEADTURNER, ANACHEEVA, O’MARILYN and KRONER. This filly is the dam’s third foal and we are expecting her to be running at two and training on at three. FIRST-SEASON SIRE: Champion two and three year-old colt SEPOY was all the rage at this year’s Magic Millions with buyers spending up big on his first progeny of the Golden Slipper, Blue Diamond and Coolmore Stud Stakes winner. 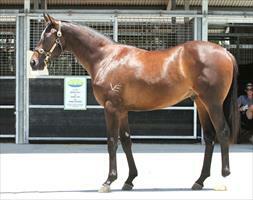 We were lucky enough to grab a colt of his, but we didn’t have to break the bank to get involved. The prices for his progeny reflected the style of horses he has thrown and this colt is no exception. This colt is out of ENCOSTA DE LAGO winner, SUBSEQUENT who is a sister to ORDER OF THE SUN, three-quarter sister to RiSK AVERSION, and half-sister to GET TO WORK and Sequential, who is the dam of EXCITABLE BOY that was trained by our stable to win a balck-type event down the straight before being sold to Hong Kong. We expect this bloke to hit the track as two-year-old like his dad and if type is anything to go by big things are in store for this lovely colt. NZ LEADING SIRE: Cox Plate winning super sire SAVABEEL is continuing to take all before him and we are pumped to add another colt by him to our stable. What makes us even more excited is that this colt is a 3/4 brother to our Oaks placegetter and quality racemare Placement. VRC Derby winner SANGSTER and Group 1 winner LUCIA VALENTINA headline the sire's best progeny but his stats of more than 63% winners to runners is outstanding. This colt is the second foal out of winning mare BEJEWELLED, who is a half-sister to Placement, and this bloke is also closely related to Group winner STRIKE THE STARS and Derby placegetter Best Case. All the mares through the dam's family have produced outstanding progeny and we are tipping that this bloke will be no exception. For more information about any of these fantastic opportunities, or to arrange an inspection, please contact us with your details including a phone number via sales@dannyobrienracing.com.au.